Photo of oranges. A whole orange and one halved is shown. Scientific noun: Citrus X sinensis (L.) Osbeck. – Synonyms: Citrus aurantium var. 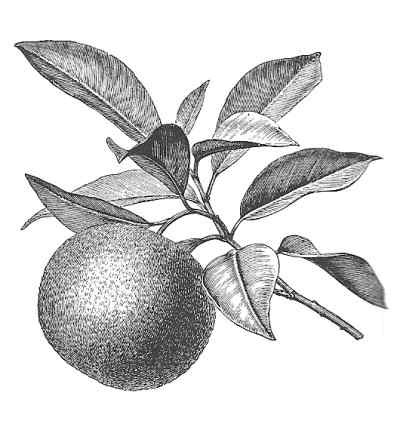 sinensis L. = Citrus bigardia Riss. Family: Rue family – Rutaceae. Habitat: Native from South east of Asia, it was first cultivated in China and it can be found as an ornamental or alimentary tree in the Mediterranean countries. Perennial tree of Rue family – Rutaceae – up to 10 m., with a very round cup. Slightly prickly stems. Coriaceous leaves, elliptical or ellipticolanceolate, acute and with a narrow winged stem White flowers, very scented, with 5 petals and numerous stamens. The fruit (the orange) is a hesperidium with quite enough smooth rind and a sweet or sour taste, not bitter. 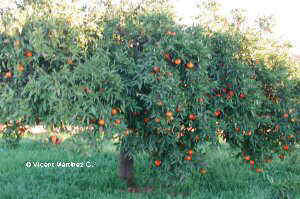 Oranges should be collected in winter. Flowers and leaves in spring. Flowers should be dried by extending them on a dry surface. Leaves should be collected in spring and, as well as flowers, should be kept in a dry obscure place. 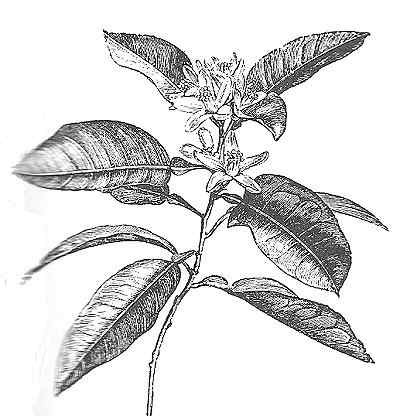 – Tranquilizer: Leaves in infusion for nervous disorders (Infusion for 5 minutes of two leaves per cup) With the flowers of bitter almonds it is prepared the orange blossom water, also known as ” Carmen water ” which is used as a sedative to sleep better and to revive in case of fainting, palpitations, etc. The infusion studied above would be suitable in this case, too. – Cholesterol: Studies carried out in United States showed that the orange peel, rich in flavonoids tangeritin and nobilitin, got a 40% reduction in cholesterol levels in a group of rats submitted to diets rich in this component. The study suggested the possibility of using this food as a way to reduce cholesterol in humans. – Flu: Although vitamin C does not cure flu, it can relieve symptoms and reduce the duration of it. Citrus fruits (oranges, lemons, grapefruits, limes, mandarines, etc.) are good sources of this vitamin. – Cold: Although vitamin C does not cure common cold, it can relieve symptoms and reduce its duration. Citrus fruits like oranges, lemons or grapefruits, peppers, dark green leafy vegetables like cabbage or broccoli, are good sources of this vitamin. – Anti-cancer: Citrus fruits in general, are very rich in vitamin C and pectin. They have a protective power on the digestive system and protect it against the cancers that could affect them. Recently, it has proven that modified pectin and pectin have a beneficial effect in treating prostate cancer and melanoma, favouring the non-appearance of metastasis. – Stimulant: The use of essential oil of orange for relaxing massage helps relieve tension, reduce stress, allowing greater communication between partners and increases the desire. 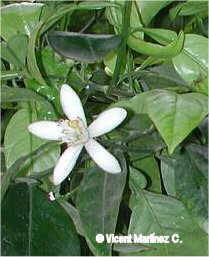 In addition to this plant we can also use:, mint, ylang-ylang, jasmine, sandalwood, dog rose, lavender or sage. 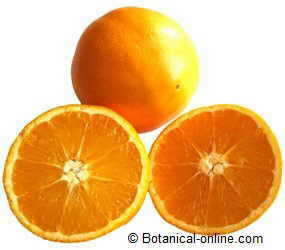 Orange essential oil relieves congested skin and depression, anxiety, emotional stress and changing mood. 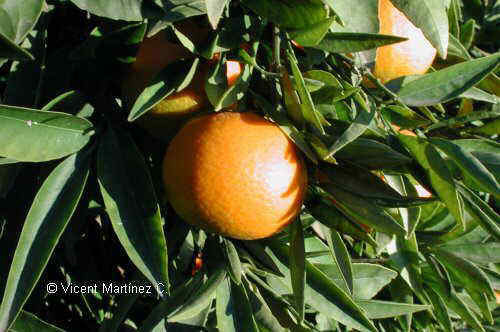 Oranges are a very adequate because of its high value in vitamins (specially vitamin C with an average of 53 mg. per 100 gr.) which make them in one of the best antiscorbutic aliments. They also have a big quantity in sugars, particularly rich in fructose, easily assimilable by the body, so that it can be eaten by diabetics. Because their high content in mineral salts, outstanding potassium, they have a great diuretic power. Their caloric content – about 47 per 100 gr.- allow people to eat with no fear to obesity. They provide with a good quantity of calcium – 40 mg per 100 gr.